Between preparing to launch our own fitness program, and entering married life, reviewing a Beachbody workout would be a breath of fresh air. It’s been a while since I’ve surrendered myself to a structured workout I haven’t personally created, and the last time I remember doing a Beachbody program was two years ago. What a stretch. They released Core de Force three months back, and it caught my attention right away. It is the first serious MMA workout on the market, and I’ve never tried such a thing before. Our own fitness program, Fitness Updated, was almost ready, and my wife took care of the final preparation before the launch. I will be a walking and talking billboard from now on, so this was my last chance of completing and reviewing another program. And I love playing the judge. This Core de Force review will go over my entire 1 month experience with the workout, and cover everything you need to know about it. While describing Insanity and P90X can be hard, this one is rather simple. 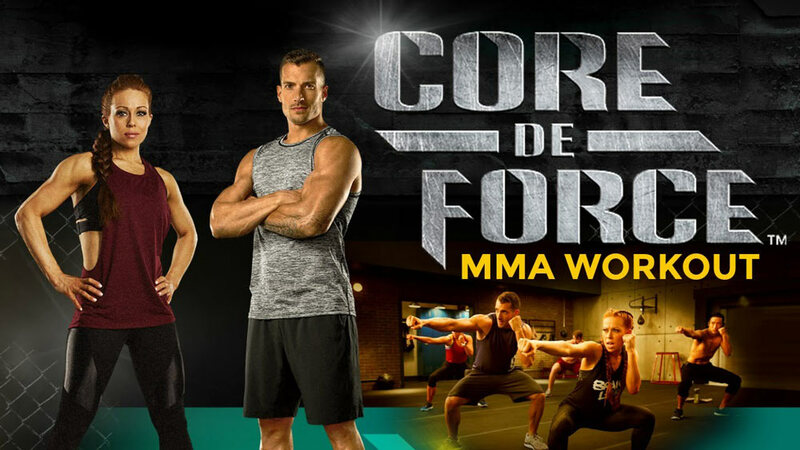 Core de Force is a one month workout program, inspired by one of the most demanding, and most dynamic sports on the planet- mixed martial arts. The length alone should give you a clue- in order for you to reach your goal in 30 days, this gotta be hard. But both of the creators sing a different tune. They adamantly market Core de Force as a one-size-fits-all solution to weight loss. To paraphrase a Beachbody broken record- everyone can do it. The premise behind this claim is simple- all of the moves are rotational, and each is designed to work your midsection. Therefore your core is being engaged throughout the entire workout session. But we will see about that in a minute. Also, there is a modifier for each separate move, and you can ease your way into the mix. It is however, a very dynamic program, with lots of power moves and variety of sequences. Who created Core de Force? I see they’ve changed that now. Core de Force is created by Joel Freeman, and Jericho McMatthews – two extraordinary fitness professionals. Joel is an elite personal coach who owns a gym in Olympia, Washington. On top of that he is also a national bodycombat trainer. 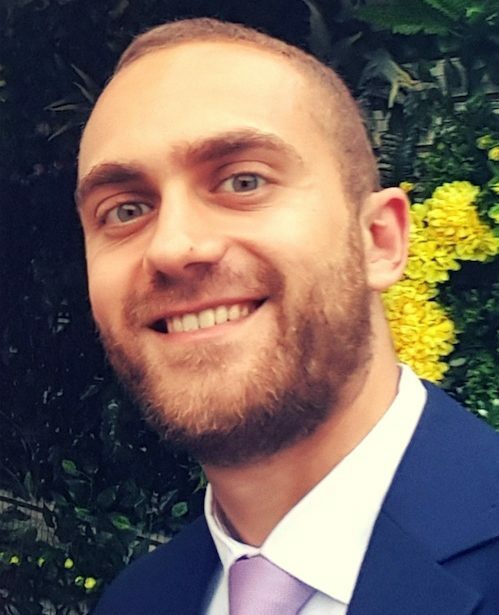 Jericho on the other hand has a degree in physical education and kinesiology, and has worked as an international master trainer for over 10 years. The program looks very professional. They’ve nailed video production to a Hollywood degree. But this is to be expected of Beachbody, of course. The atmosphere is dynamic, the rounds and moves come and go fast… It’s an energy bonanza. Trainers and crew are really into it, and you are not going to see a lot of dental work here. Less smiles, and more sweat. Both Joel and Jericho are walking you through this and camera is following every detail. The music is on par with previous Beachbody releases, which is really good, and the moves are new and look like extra fun. I’ve heard some people comparing this with Less Mill’s Combat, but such comparison would be way off. Core de Force is quite more engaging, and minus all the gimmickry. Moves are also not choreographed, which means that you are doing them at your own pace, not following the beat. Before going over each and every one, let my brief you on what to expect. This sets the pace for the first half of the program, and it starts somewhat easy. Core rotation and hip moves, tied into dynamic sequences that are far from repetitive. 6 rounds for a total duration of 27 minutes. This starts simple, with a lot of push-up and squat variations, plus some balance moves in between. The complexity increases as you repeat the circuit. I really enjoyed the pace. It’s a resistance session through-and-through. 12 rounds for a total duration of 37 minutes. Apart from being a well-structure ab workout, this one can be used as a supplement to other programs as well. It’s insanely short (only 5 minutes), but it’s innovative and dynamic with a lot of plank variations. Completing it right after another workout is a real core blast. Power sculpt is a low impact plyometric session, with a lot of back and forth between on the floor moves and standing exercises. This will add some explosiveness to the entire circuit, and your core will do most of the work. Again, it doesn’t feel like a traditional core workout. And from my experience as a coach, standing ab moves outrank crunches nine ways to Sunday. 9 rounds for a total duration of 37 minutes. This one is really dynamic with lots of power kicks. You will switch between jabs, knee kicks, and a volley of punches. A real mixed martial arts training session, if you will. It feels good to move elegantly through each round, and I love how easy it is to coordinate your punches. The whole workout feels like a ghost-boxing match, and adrenaline goes through the roof. Here is where things are starting to become more intense. Cardio is getting fast paced, moves are becoming more complex and a lot of diversity is being introduced. You will learn some more kicks and combine them into killer 3-minute rounds. 12 rounds of core combos for a total duration of 47 minutes. I’ve never previously incorporated so many rotational moves in my workouts. It is refreshing to see how core sessions can be spiced up and done differently. Seeing Plyo in the title made me think this will have more jumping than anything else, but the opposite is true. It’s a fast paced rotational combo. Lots of explosiveness and lots of core moves. 12 rounds for a total duration of 47 minutes. This one is 5 minutes only, and goes over stretching moves, mostly targeting your hamstrings. You will ease into deep stretches, and improve your flexibility. Quite more comprehensive when compared to Core de Force relief, this is the recovery session of Core de Force. Preparing your body for the following week, you are fighting muscle soreness and improving mobility, range of motion and flexibility. MMA fighters are known for their amazing flexibility, and this is how you get there. Total duration of 21 minutes. A bonus workout with lots of unique MMA inspired moves. Rotational work, elegant looking sequences, and rather short duration for the intensity it provides. Total duration of 16 minutes. This is the training segment they give you before some of the workouts, trying to build a solid foundation. Most of the kicks are not covered for they are simple enough for you to catch on the fly, but complex movements are dissected and explained carefully. All in all, the workouts are fast paced, dynamic and target the entirety of your body. I really enjoyed the flow, and have improved my coordination further still. The 3-minute rounds serve as a terrific frame within which you are driven to push harder, and push harder you will. Give everything you got for 3 minutes and then move on. It’s a true example of a Tabata style workout, with added diversity. Which explains the rapid weight loss. This is a boxing / kickboxing / Muay Thai rollercoaster, and each session looks more innovative than the one before. I had lots of fun going over each and every one. The moves are core-centric, rotational, and target your core from multiple angles. That’s why you’ll be burning abdominal fat progressively faster when compared to other programs. This varies quite a lot. As I’ve said already, Beachbody markets it like an all-in-one solution to weight loss and fitness. The truth is more nuanced though. If you have knee or joint pain, I wouldn’t recommend it. The exercises require dynamic body movements, and between punches and kicks you can easily injure yourself. If you don’t not struggle with a knee or joint problem, I’d say go for it. The modifier will ease you into the mix, so don’t be afraid to try and see how it goes. Besides, you can always return the package and get your money back no questions asked. A lot of Core de Force reviews around the net make the following comparison- Core de Force vs. Less Mill’s Combat. In all likelihood, this is coming from people who either tried one, or none of the two workouts. They couldn’t be more apart. While Less Mill’s Combat adds rhythm to each move, and focuses more on upper body movements, Core de Force is completely different. Being a 30 day workout, the schedule is rather simple. You get a printed calendar telling you exactly what to do on any given day, and that’s pretty much it. I recommend hanging the calendar on a wall or something, so it helps you stay accountable. I placed mine on the side of the fridge. It’s easier when you have your journey visualized. There is a difference between the base kit nutrition plan, and the deluxe one. With the first you’ll get the book with sample menus and recipes, and many tips on how to use food as a fat burning fuel; while the second adds plastic containers you can keep track of your food with. The plastic container system is replicated from Autumn’s 21 Day Fix workout, and while it’s a good system to follow, I won’t recommend spending extra buck to get it. The book alone is practical enough to get you there anyway, so you can save your money and buy groceries for healthy meals instead. Where to buy Core de Force from? All in all, it was a lot cheaper than Insanity or P90X back in the day, while offering more for the buck. And similar in price with the Piyo workout. Now, they all cost the same under the Beachbody on Demand model, and you get them for a single payment of $99. Btw, I tested their customer service with a series of trivial questions to see how well their response rate is, and they usually get back to you within less than a day. Truth be told, I’ve entered this with a six-pack already. Preparing for my own fitness program has brought me into the best shape of my life, so taking a break from my own medicine and following Core de Force wasn’t a dramatic change. Having said that, I further improved my coordination and flexibility, and strengthened the core even more. Lost 3 pounds, but have in mind that I’m already extra low on body fat percentage, and quite in shape. For the average guy or gal out there, I see how this workout can bring your weight 10-20 pounds down. The moves are intense if you care to invest yourself enough, and the sequences are varied and engaging, targeting every muscle group from a number of angles. This, along with all of the core rotational moves will burn fat extra fast. Expect to have your abdomen flattened, and even see abs showing if you are just 20 pounds overweight. You will probably notice your lower body (especially thighs) losing a lot of fat tissue, and your upper body will look more defined (especially arms and shoulders), from all of the shadow boxing. Overall, I’d give Core de Force my approval, and even recommend it to people who want to escape the usual routine and try something different. Along with the modifier, it can really be everyone’s cup of tea. The price is extra low for such a complete workout program, and I like the fact that it is a 30 day commitment. Along with the money back guarantee, I’d say that you have nothing to lose. Hope this Core de Force review was helpful, and I managed to describe my experience with the program. You can also check my own workout platform Fitness Updated. While on the same shameless plug, I’d say it is far more comprehensive, and unlike Core de Force it offers complete customization and dozens of different programs, for a lesser price. It also has a free no-credit-card-required 7 day trial. After the 7 days, you won’t be charged anything (we don’t ask for your credit card, remember), and only pay if you decide to purchase. And for being a Lifestyle Updated reader you get a discount price as well. I love this program. Very easy to follow. Never gets boring.